British Prime Minister Theresa May faces a second parliamentary vote on her deal to leave the European Union this week, after MPs overwhelmingly rejected it in January. A second rejection could mean leaving with no deal, which could have stark economic ramifications. 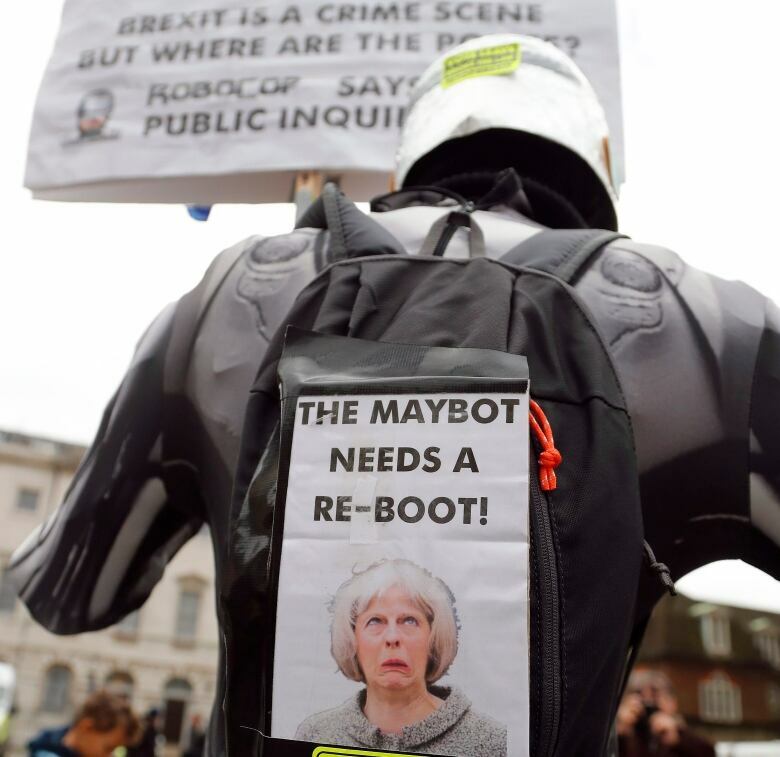 British Prime Minister Theresa May is a "very tedious version of The Terminator" whose political style of "deadening, endless repetition" has not served the country well in Brexit negotiations, according to one journalist and author. 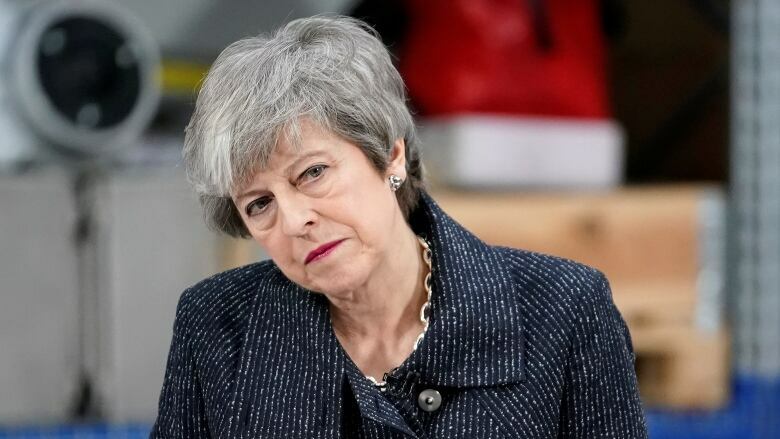 "Her primary strategic gambit is to kick the can down the road, which is what she's doing now," said Ian Dunt, editor of politics.co.uk, and author of Brexit: What the Hell Happens Now? "There's very little flexibility there — she doesn't really think in a particularly new way," he told The Current's guest host Piya Chattopadhyay. "It's why we've ended up here — with 18 days to go until we leave the EU — in the same situation that we were in before." On Tuesday, May faces a second parliamentary vote on her deal to leave the European Union, after MPs overwhelmingly rejected it in January. If it's rejected again, MPs will vote Wednesday on whether to leave the EU without a deal, which could have stark economic ramifications. If that is in turn rejected, they will vote Thursday on whether to extend Article 50, the legal process of departure. The extra time would be used to hammer out a solution, but the EU would need to agree to the extension. In a 2016 speech at her party's annual conference, May set out several "red lines" for negotiating an exit from the EU. She told her party faithful that she would pursue an end to Britain's participation in freedom of movement, whereby EU citizens have the right to live and work in any member country, and would remove Britain from the jurisdiction of the European Court of Justice. She also said the country would leave the single market — which provides for the free movement of goods, people, services and capital across the EU — and depart the customs union, which ensures no duties are paid on that movement. Dunt said that publicly announcing her red lines for departure was a mistake, as it "massively limited her room to manoeuvre." "She then went ahead and triggered Article 50 without really having any plan ... and imposed this bludgeoning, two-year timetable on herself, to do something which frankly would take longer than two years," he said. The result has been a punishing negotiation where May has faced humiliation "on an almost daily basis by her own party, by her own cabinet, by her own parliament, and by the public itself," said Dunt. "And yet on and on she goes, she's like a very tedious version of The Terminator. She just will not stop." Click 'listen' near the top of the page to hear the full conversation. Written by Padraig Moran. Produced by Alison Masemann.